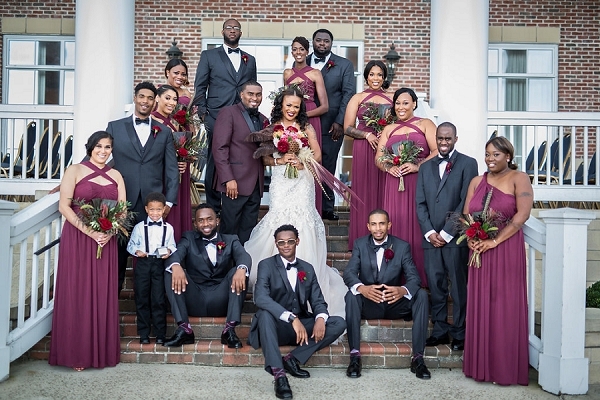 Though LaTonya and Derrick had already been married five years, they didn't get to experience the joy of a wedding with their family, friends, and particularly their daughters. 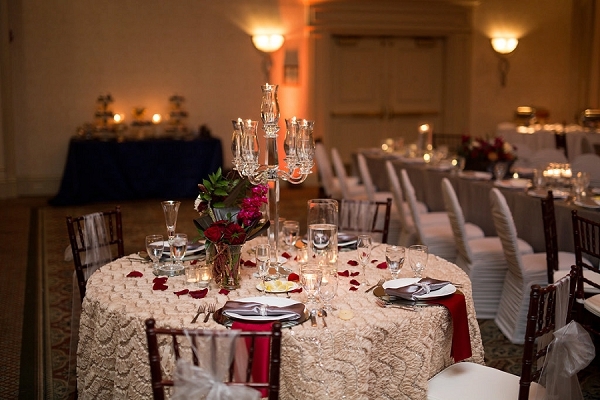 So with the help of Touche Weddings and Events, they planned an energy-packed glamorous celebration to remember at the Hilton Garden Inn Riverfront in Suffolk. 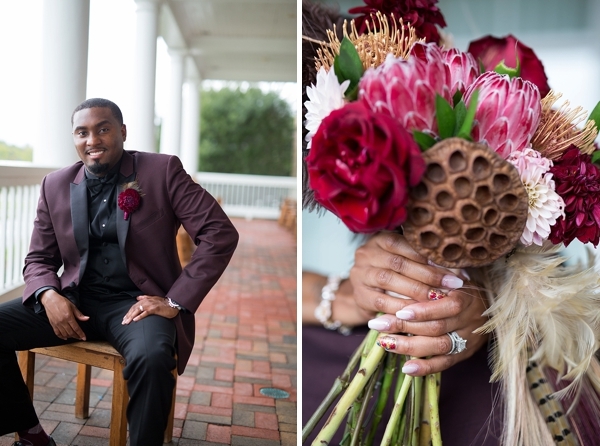 From both dads walking the bride down the aisle to a special birthday moment (and cake!) 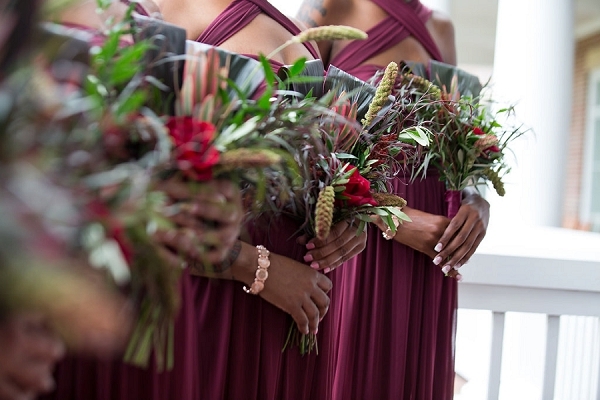 for LaTonya's mother, there were heartfelt moments in abundance on their special day saying "I Still Do!" 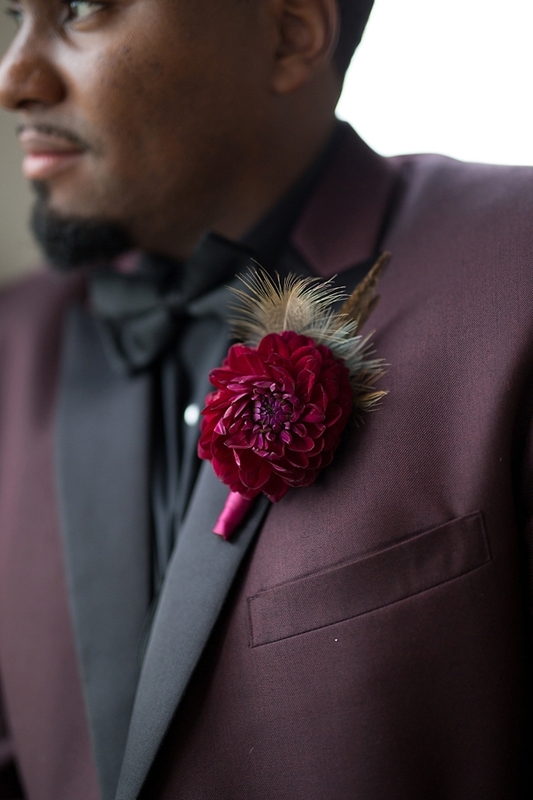 Inspired by gorgeous jewel tones like red and wine, we love the groom's stylish burgundy suit with black lapels complemented by the bridesmaids' dresses captured by Josh Boone Photography. 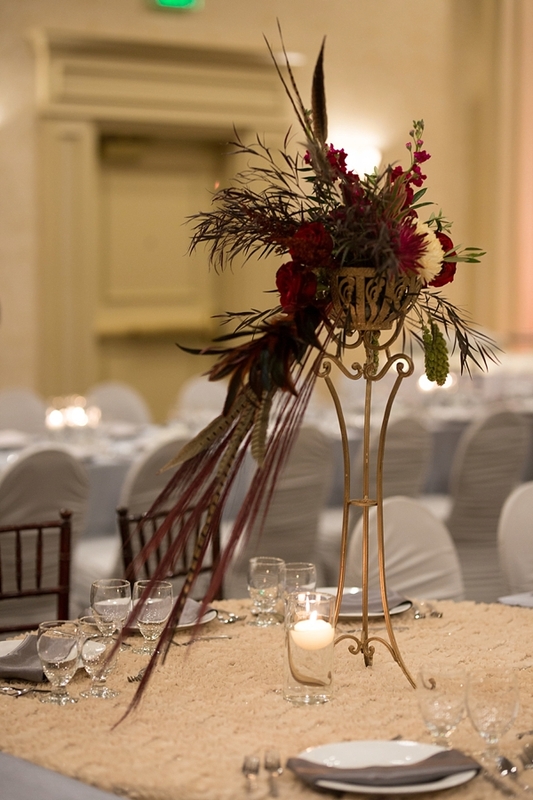 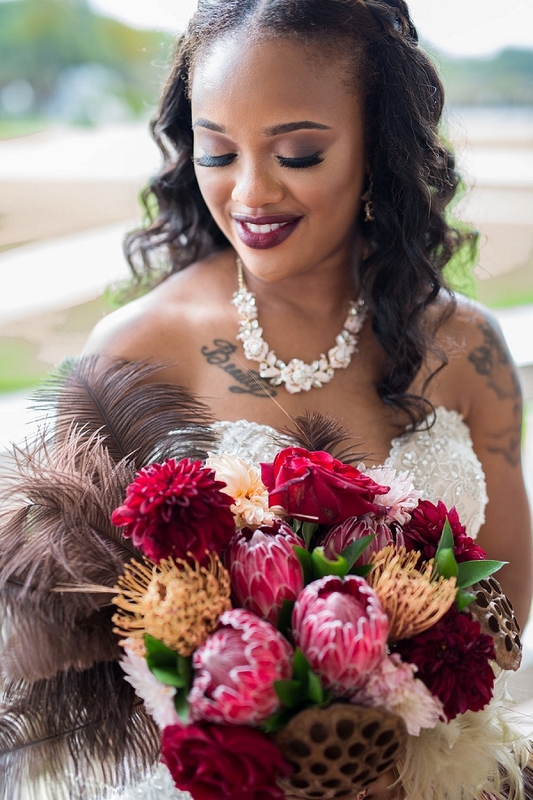 The showstopper bouquets and florals with ostrich and pheasant feathers paired with proteas, dahlias, and dried lotus pods will make any fall-loving couple swoon! 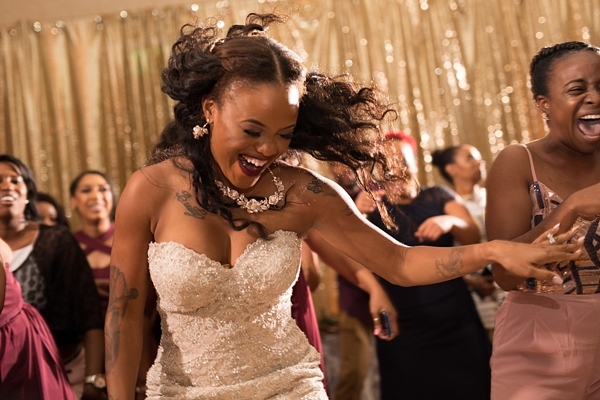 Between the fab dance party and the sweet smiles between husband and wife, we can't get enough of LaTonya and Derrick's wedding. 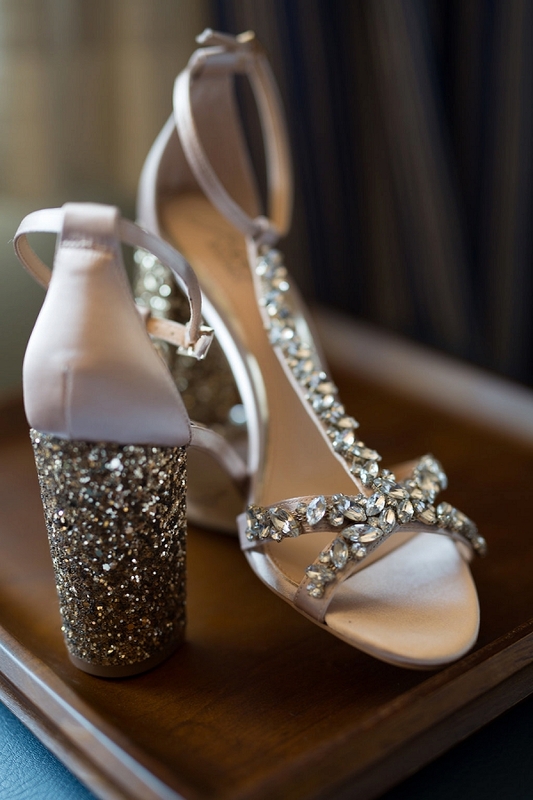 We wanted to put on our dancing shoes and pick up some beats with the DJ!